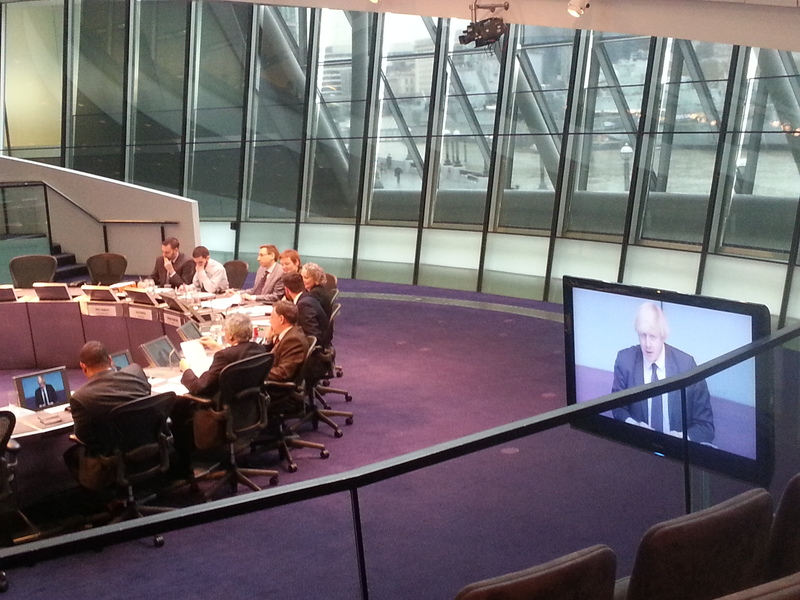 Today, the London Assembly Economy Committee questioned Mayor of London Boris Johnson and Deputy Mayor Kit Malthouse about the London Enterprise Panel. Committee members questioned the narrow focus of the LEP, pressing the Mayor on issues such as debt, the green economy, childcare and inequality. Planning was notably absent from discussions. With the LEP due to begin developing a revised long-term strategy in the new year, linked to the Mayor’s 2020 Vision for London and the forthcoming revisions to the London Plan in early 2014, it is likely to be an increasingly important body for Just Space members to engage with on economy and planning issues. More in the ‘storify’ of twitter posts here, and the webcast here. This entry was posted in Economy and Planning and tagged LEP; London Assembly by myfanwyt. Bookmark the permalink.